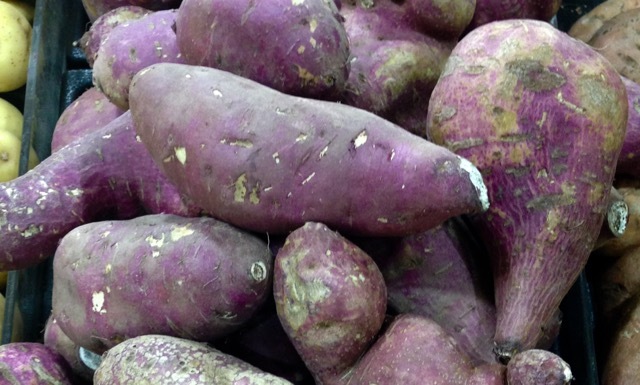 The sweet potato is a large, starchy and nutritious tuberous root with an intense natural sweetness which is produced by an enzyme that converts most of the starches to sugars as the potato matures. The sweetness continues to increase during storage and during cooking. 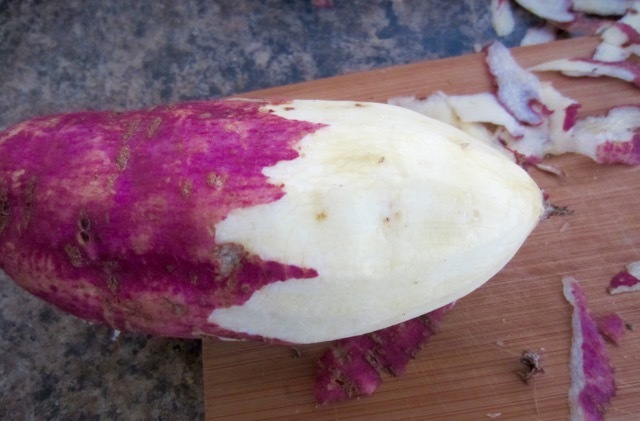 The tuberous roots are usually long and tapered but may be variously shaped depending on the cultivar.The skin is smooth and the colour ranges from yellow, orange, red, brown, purple and beige. 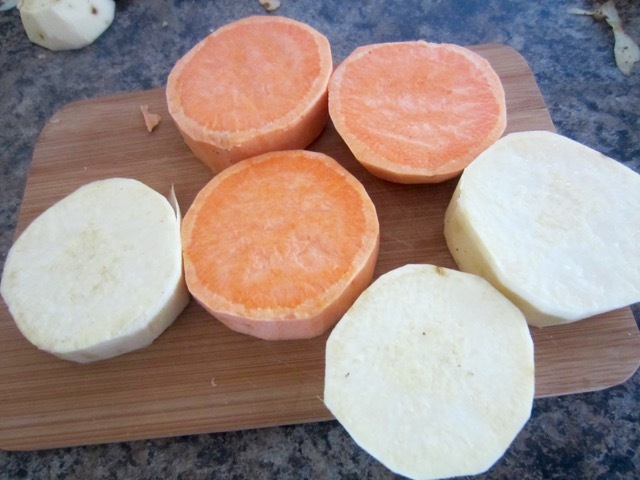 The flesh ranges from beige to white, red, pink, violet, yellow, orange and purple. 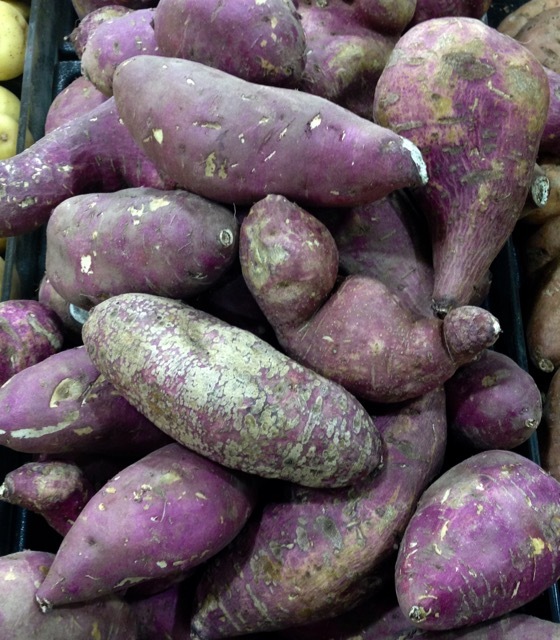 The purple skin sweet potato has a purple skin and white flesh. Next What are Curry Leaves?